If any of you buy our new album Trinity from sonsofperdition.com and have a problem downloading it, please contact me so that I can fix it. 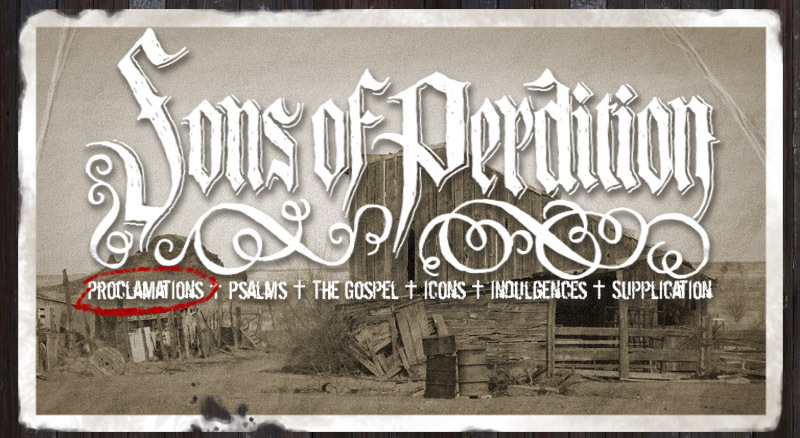 Just click "Supplication" at the top of www.sonsofperdition.com to shoot me a message, or find Sons of Perdition on Facebook. Can I order the cd on here? Can't seem to work it out. Not right now, Cale. I need to figure out a way to create a different product for US and international orders. I was getting murdered on shipping charges.